Are Omega-3 supplements from the sea sustainable? Fish, krill and Life’s DHA from Red Algal are all natural marine sources of omega 3. Is your favourite sports team making you unhealthy? 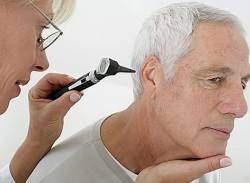 Hearing loss is common in Australia, with approximately 3.55 million Australians suffering from the condition. During November each year, men all over Australia and New Zealand grow out their facial hair. 1 Is your favourite sports team making you unhealthy?